The class of 2012 will leave college with more loans than any year before them. How can you help your grad with their debt repayment? (MONEY magazine) -- Forget sheepskin. The way colleges are loading students up with debt, they should start printing diplomas on hankies. Among 2012 seniors who borrowed for their education, the average debt load will likely hit a record $28,700, projects Mark Kantrowitz, publisher of Finaid.org. That amounts to a $330 standard monthly payment. To handle that easily, he estimates, one would need a salary of $40,000. Unfortunately, half of all recent grads are either unemployed or underemployed, as an AP analysis found. So what's a parent of a recent grad to do? You don't want your offspring to suffer. But you've also got priorities of your own, like saving for retirement -- and paying back college loans taken out in your name. Experts suggest this three-step plan to help your children without hurting yourself. Even though the first loan payment won't be due until six months after the student leaves school, you want to get newly-minted degree holders understanding their IOUs ASAP. The reason: You don't want Junior signing a car lease in July that leaves no surplus for the loan bill to come in December. To find out how much is owed to whom, call the college's financial aid office and visit nslds.ed.gov. Two months before the grace periods end, have your child visit loanconsolidation.ed.gov to merge all federal loans into one for simpler billing and tracking. Grads of 2011 and earlier who haven't yet consolidated should do so by June 30 to take advantage of an extra 0.25% discount. For both federal and private loans, encourage your child to arrange automatic payments and budget their income to avoid late payment and insufficient fund fees. Income-based repayment. Bills are capped at 15% of discretionary income, and for borrowers in public service, the balance may be forgiven after 10 years. Graduated repayment. Knocks about 30% off the standard payment the first two years, then raises it every two years so that the loan is paid off in a decade. Extended repayment. Grads owing more than $30,000 can stretch loan terms from 10 years to up to 25 years for lower payments. Of these choices, Heather Jarvis, a lawyer specializing in student loans, prefers income-based repayment: "Almost everybody who qualifies should choose it. It gives the most flexibility." Of course, if your child takes longer than 10 years to pay the loan, he or she will foot more interest than with the standard option. Fortunately, federal loans have no prepayment penalty, so your kid can make extra payments anytime. Private lenders generally aren't as flexible. But both the government and private lenders do allow no-payment "deferment" or "forbearance" periods for those who are unemployed, and in some cases, in the military or returning to school. Generally, interest keeps building during the pause. 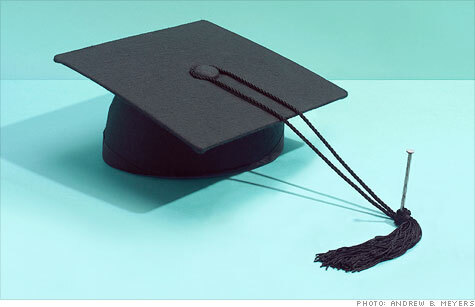 Nearly one in five student-loan debtors gets monetary help from relatives, federal data show. While it's natural to want to alleviate your child's burden, make sure you're on track for retirement before writing a check, says Philadelphia-area financial adviser Fred Amrein. As he says, "Put the mask on yourself before helping others." There are less costly ways to assist. Register your credit cards at upromise.com for small shopping rebates to put toward loan balances. Let your child live at home, and direct "rent" toward loans. Or pay the debt yourself and have your kid pay you back, advises Jennifer Lazarus, a Durham, N.C., financial planner. Charge 3% and you'll earn more than you would on Treasuries and cut your kid's payment by $50-plus a month . Income-based and graduated repayment can cut the payments, at least initially. The tradeoff? The child pays more in total. Standard 10-year repayment. Initial monthly payment: $330. Total repaid: $39,633. Graduated repayment. Initial monthly payment: $227. Total repaid: $41,774. Income-based repayment. Initial monthly payment: $191. Total repaid: $46,582. Notes: Debt is the average owed by 2012 grads; salary is typical of general humanities and science grads; income-based repayment total assumes salary rises 5% a year and that student is not eligible for debt forgiveness after 10 years. Sources: Department of Education and Finaid.org calculators, Georgetown University salary survey. Has your employer slashed your health care coverage, 401(k) match, holiday bonus or annual raise? If so, please email jessica.dickler@turner.com with a brief description of your story and you could be included in an upcoming article.